Harlequin Fun Casino specialise in corporate entertainment and more specifically, corporate fun casinos. We are a highly professional fun casino company, and we take pride in our customer service and our ability to organise corporate events efficiently and with ease. We have authentic, full size fun casino tables and we take very good care of them to ensure they are as fresh and as new as the day they were first made. But why choose Harlequin? Well, all our playing cards, casino chips and accessories are purchased from Las Vegas, and all of them have actually been used in play on the casino tables in top casinos, including Caesars Palace, The Bellagio, The MGM Grand and The Monte Carlo. It’s these little touches that make us a unique fun casino company. We care about the details, we care about your event, and we care about making it a huge success. We’re really passionate about delivering an excellent, polished service and continuing to add to our reputation as a professional, friendly and efficient company. 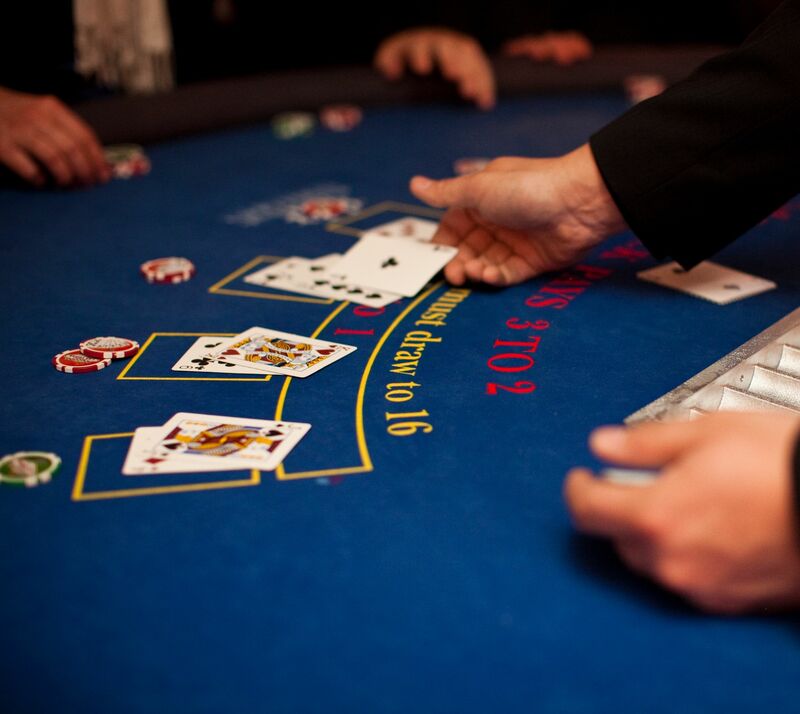 There are many different ways to incorporate a fun casino into your corporate event, so whatever your planning, call us today and find out how we can help make your event a huge success. When planning and organising a team building exercise, you’ll be looking for something that will appeal to a wide variety of tastes; young and old, male and female. A fun casino is great way to bridge those gaps, and Blackjack andRoulette have a wide scope of appeal. Casino games have a habit of bringing out the competitive side of even the most reserved player, and it’s a great way to break the ice between a group of people who are new to each other, or members of a team who have never worked together before. The air of friendly competition that surrounds the Roulette table simply cannot be matched, and neither can the electric atmosphere it creates. If you need something to liven up your team building event, a fun casino could be just the thing you’re looking for. Guests love to dress up for the annual office Christmas party, but this year, why not recommend a James Bond theme and suggest the wearing of Tuxedos and Cocktail Dresses? Everyone loves an excuse to dress up to the nines, and a James Bond fun casino is a great way to get everyone into the party spirit. A fun casino at the office Christmas party is always very well received. It’s a great alternative for those who don’t like to dance, and it’s brilliant fun for men and women of all ages. Poker has always been a popular card game, but in recent years, its popularity has been propelled to new heights thanks to the rise in number of online games and television coverage. Corporate Poker Tournaments are a fantastic way to entertain colleagues and delegates and fuel the fire of friendly, inter-departmental competition. For more information, drop us an email today and tell us a bit about what you’re planning. There are lots of ways to hold a Poker tournament, and we’d love to be able to help you! A corporate fun casino is always great fun. Fun casinos are a great way to break the ice at corporate events and really get people talking. 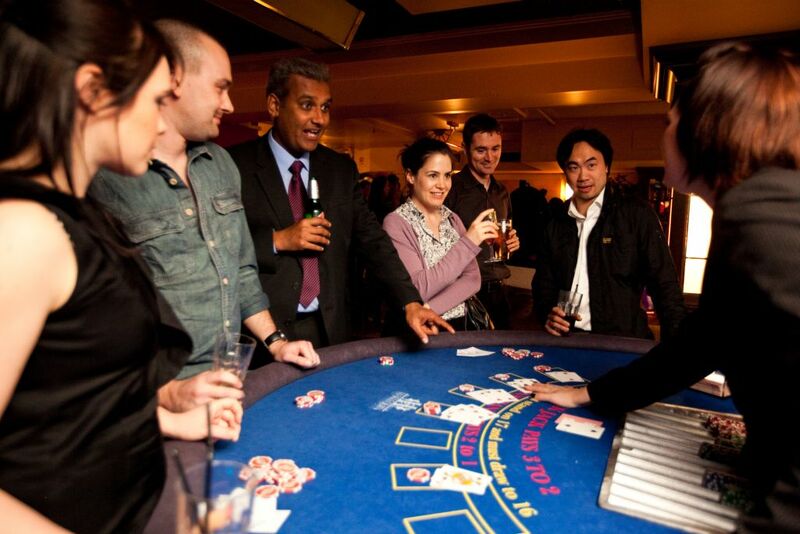 With a corporate fun casino, you’re guaranteed an entertaining, exciting atmosphere and smiles and laughter all round! Many of the companies who hire Harlequin Fun Casino re-book us time and time again for their corporate events and teambuilding days. They agree with us that a fun casino is one of the best ways to get a corporate event into full swing with minimal effort. When you’re organising your corporate event, get in touch and tell us what you’re planning. We’ll make sure your event is a roaring success, and we’ll most likely enjoy it just as much as your guests will!